We have the Leg, Cooper and Cooks back. Let's put these guy's out of their remote playoff hopes misery! I expect the defense to be extra fired up for this one. I do want to see us have a strong first half. "The disappointment of losing is huge!" This is a VERY important game for both teams. The squawks have not only something to prove but must stay in the playoff hunt. The Rams need/ must have a bounce back from last weeks game and to keep pace for the home field. If the Rams come up short ....................................... then it might very well be on the road for the playoffs. Will the Seahawks have home field advantage like the Peckers did? I am not the first to say...this is a very important game. In my view, it is the most critical of the current 4 game "gauntlet" that we are running. For Seattle, this is essentially a playoff game. They are just hanging in the division and wild card races. If they beat us, they advance in both (though the wild card remains their most likely scenario). If they lose, they are pretty much done in the division race and in poor shape in the wild card race, with 5 or 6 wins being the current pace for a wild card spot. For us, it is critical for us to administer the coup de grace and terminate Seattle's hopes to catch us in the division, and it is critical for us to continue to assert and develop a home field advantage, particularly in division contests. All this work to get a top playoff seed is for naught, if our home field does not provide us a true advantage in big NFC games. The fact is, without a real home field advantage, it will be extremely difficult (even more than it is already is) to win a conference championship. And of course, it is critical for us to respond positively after a loss, especially with our next game being another very difficult "road" game. If you look at NO's remaining schedule, I still like our chances to win the #1 seed in the NFC. But if you told me that we would go 2-2 in this 4 game gauntlet and I could pick the 2 wins, I would have to pick the GB and Seattle games. Two NFC games (one a division game) at home. I'd love to go to Mexico City nice and loose, to let it hang out in a shootout with the Chiefs, rather than tight and desperate for a win on foreign soil. It is said a team can learn a lot about itself from a loss, especially if it isn't used to losing. How do you re-focus? How do you respond? I expect if this team is anything like I think it is, they will respond favorably. Despite the 8-1 record, there are a number of individuals for whom it is gut-check time- especially on defense, and none more so than Peters who has been raked over the coals all week by everyone from fans to reporters to Sean Payton. If THAT doesn't motivate you, nothing will. As important a game as one could be for a team sitting atop its division with tough opponents ahead. Look for the Rams to re-establish themselves. prayers for Ram family and friends that have had to evacuate due to the fires. Squawks got to win this game PERIOD! They Lose they are -5 games back of the Rams and they can forget about a wild card spot. Simply because for the Rams this is week 10 with 6 left and all the Rams have to do is win 2 more and its pretty much over because then the Squawks are forced to win all their remaining games. And this time there is no noisy stadium so the field is neutral (considering how many Ram fans actually show up for a game). I've been going home, so there is no reason to stop now. The Rams can't afford to drop this game in order to keep themselves in the hunt for homefield advantage throughout the playoffs. The Hawks are pretty banged up again this week, but seem to always bring their best when people are counting them out. games. Many folks hold the Seahawks as most DESPISED divisional rival (I will always look to the Whiners for that). I do however love seeing Carroll cringe when Rams whup the Hags. Predictions: Can the Rams Slew Seattle? Big test for the Rams. 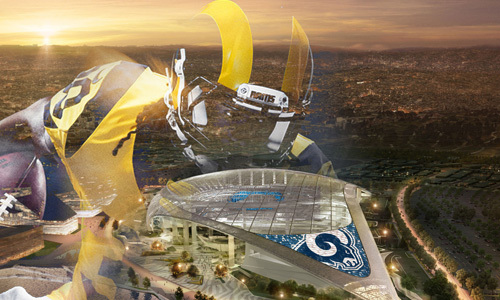 In all due respects, this is the Rams' Superbowl! The Seahawks are their main (hated) division rival. Both clubs have struggled in recent years and are trying to come up. Seattle is finding ways to win and the Rams finally got one last week, but do they have a follow up? This game will tell which team will take the next step moving forward or who will resort to their Same 'OL ways. Seems like we always end our regular season in Seattle!!!! This is always a tough game no matter what the Seahawks record is. I know we beat them earlier in the year. Actually it was the ClanRam Bash game. I hate to go against "ferter" but I just feel like Russell Wilson is much better now than when we played him at our house.